Travelling into Salt Lake City for business is a wonderful opportunity to expand your business' reach all while enjoying the wholesome offerings of this vibrant city. Located near the Salt Palace Convention Center, you will find a wealth of parks, museums, and even an 8-acre open air Aviary with shows and exhibits. But while you're there, be sure to get down to business using one of our exceptional trade show displays to effectively grab the attention of your customers while exhibiting. Who said you can't mix business with pleasure? Without the right trade show booth, you will be lost in the crowd. Let's face it, if your trade show booth is bigger and better than one of your competitors, you will look like the leader in your industry. Where is the Salt Lake City Convention Center Located? Calvin L. Rampton Salt Palace Convention Center is located at 100 S Temple, Salt Lake City, UT 84101. It is more commonly known as Salt Palace and features a huge solar array on its roof! Before you go about choosing your trade show display, you need to understand the underlying reason why you are going to this trade show in the first place. You are going to have a different trade show display if you are trying to get customers to sign up for a service than if you are trying to get your customers to try out a new product. You must understand what your end goal is before you invest in your trade show display. That way you can make the most profit off of your trade show display. It is important that you make sure the maximum number of individuals will know about your trade show display. You can start getting the word out there well before the trade show takes place. Social media is a great place to start raising awareness for your trade show booth. 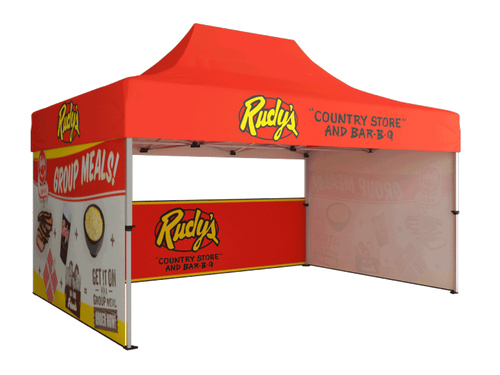 This way, you will already have a great deal of hype built up for your booth even before the trade show takes place. The more excitement you can build for your trade show display, the better. One of the greatest aspects of a trade show booth is its unique ability to show potential customers and clients why you are the best option in your industry. For example, if you are a golf club manufacturer, having a golf simulator available for customers to try out your new clubs could be a great way to convince them that you are the best option for their golf game. You must use your trade show booth to spotlight what it is that makes your business special. Really work the wow factor by putting awards on display. Let customers be wowed by the experience that they have had at your booth.